In most cases where a defendant has been convicted of a crime, he or she will be placed on probation for a specific length of time. For misdemeanor level offenses the period of probation will be between two and five years. Probation terms will often be longer for those convicted of felony level offenses. A defendant will usually be expected to complete several requirements of probation to remain in compliance, including jail sentences, community service or community labor or mandatory counseling sessions. Once the requirements have been completed, the defendant will still be expected to remain law abiding for the remainder of the probation period and to commit no new offenses. In certain cases, a judge may be willing to terminate a defendant’s probation earlier than the probation expiration date. Under California Penal Code Section 1203.3 PC, a defendant can petition the court for early termination of probation. 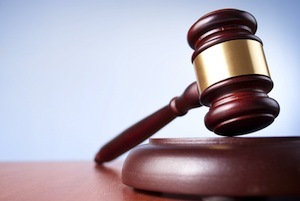 If granted, the defendant’s conviction is usually expunged at the same time. Typically, a judge will not consider granting an early termination of probation motion unless the defendant has successfully completed all requirements of probation in a timely fashion, has paid all court fines owed and has provided a compelling reason justifying the early termination. Under California Penal Code Section 1203.3 PC, a defendant can request that the sentencing court terminate probation early. Usually, this motion is filed along with an expungement motion pursuant to California Penal Code Section 1203.4 PC. In many cases, a defendant may have an urgent need to have his or her probation terminated and criminal record expunged. The defendant’s probation status may be preventing him or her from obtaining suitable employment or from receiving a promotion. Many employers conduct criminal background searches and tend to avoid hiring people who are on probation or who have criminal records. In addition, the defendant may face certain travel restrictions as a result of his or her probationary status. This may provide sufficient grounds for terminating probation early. Before granting an early termination of probation motion, the court will want to make sure that the defendant has completed all active conditions of probation. This includes paying all court ordered fines, paying restitution, completing mandatory classes such as DUI classes, completing community service or community labor hours, attending mandatory Alcoholic Anonymous meetings and any other condition of probation that the court may have imposed at the time of sentencing. The court will also want to make sure that the defendant has not been convicted of new offense or has any charges pending. The court or prosecution will usually request a rap sheet to ensure that the defendant has remained law abiding during the term of probation. Typically, it is advisable for defendants to wait until at least half of the probationary term has passed before filing an early termination of probation motion. This means that someone sentenced to three years of probation should not consider early termination until at least a year and a half has passed. The judge will take various factors into account when ruling on a defendant’s early termination of probation motion. The judge will consider the severity of the underlying offense, the defendant’s criminal history, the prosecution’s position regarding early termination and any hardship the defendant may be suffering as a result of his or her ongoing probationary status. For defendants who have been charged with a felony, the judge would have to reduce the felony to a misdemeanor prior to terminating probation early and then expunging the conviction. If the judge ultimately finds that the defendant has shown good conduct and reform and if there are compelling reasons in favor of early termination, the judge will grant the motion. In many cases, the court will automatically grant an expungement simultaneously and this information will be forwarded to the Department of Justice. If you are on probation for a criminal offense and are interested in terminating probation early, it is imperative that you speak with a Los Angeles Criminal Defense Attorney right away. Los Angeles Criminal Defense Lawyer Michael Kraut is a former Deputy District Attorney with over 14 years of prosecutorial experience who has successfully been able to argue early termination of probation motions on behalf of his clients. For more information about Los Angeles early termination of probation, and to schedule your free consultation, contact Los Angeles Criminal Defense Lawyer Michael Kraut at the Kraut Law Group located at 6255 Sunset Boulevard, Suite 1480, Los Angeles, CA 90028. Mr. Kraut can be reached 24/7 at 888-334-6344 or 323-464-6453.